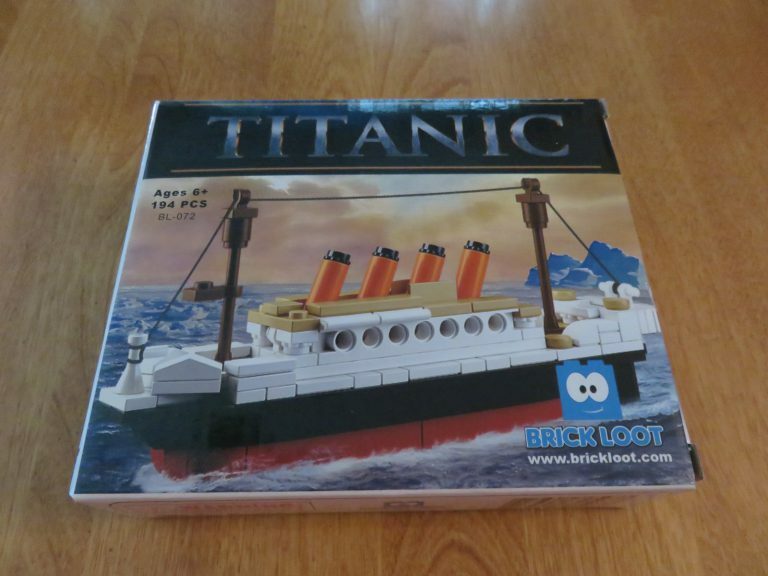 The September Brick Loot box theme is Titanic Voyage. 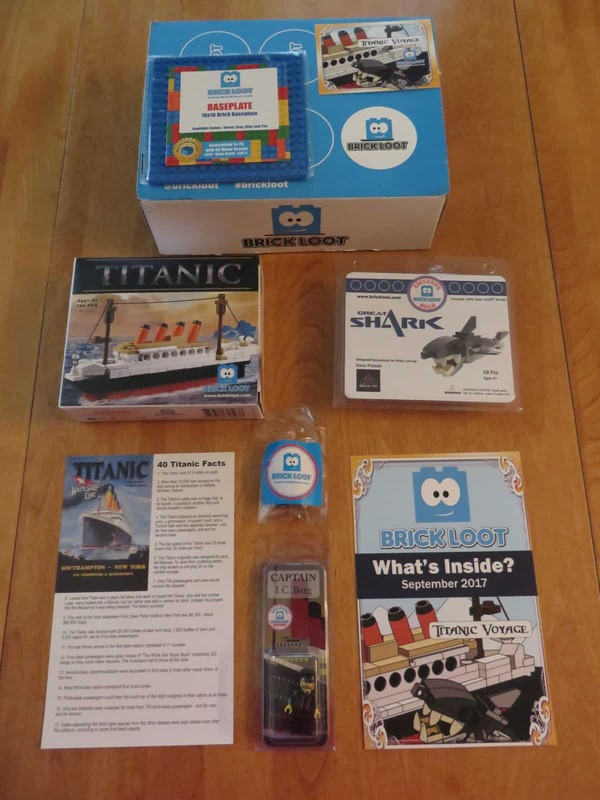 There are 5 featured items: a shark build, a Titanic ship build, a baseplate, a light up brick, a Minifigure, plus a Titanic fact sheet, and an exclusive sticker featuring this month’s theme. 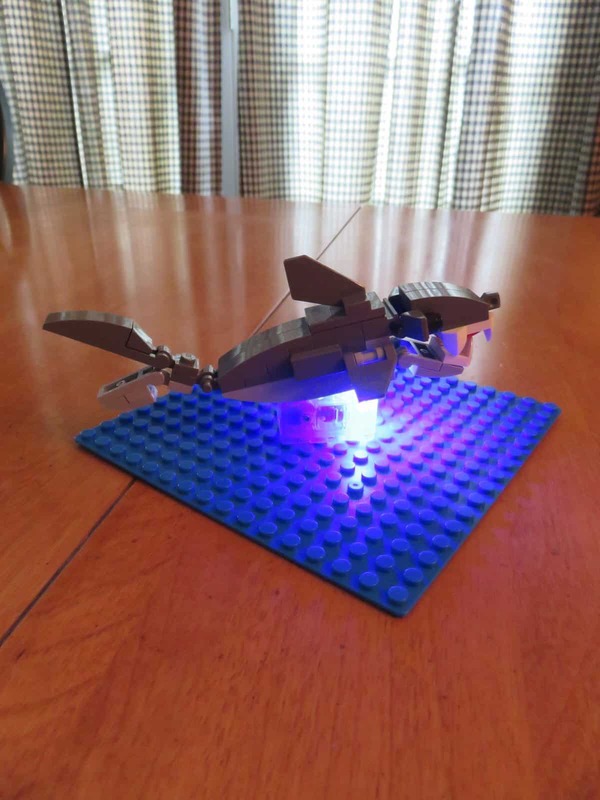 Great Shark is a 100% Lego Build designed by Dave Plickett. Dave is a Lego and Brick enthusiast and has a YouTube channel devoted to all things Lego, a website, plus he is a co-author of a Lego-themed book. 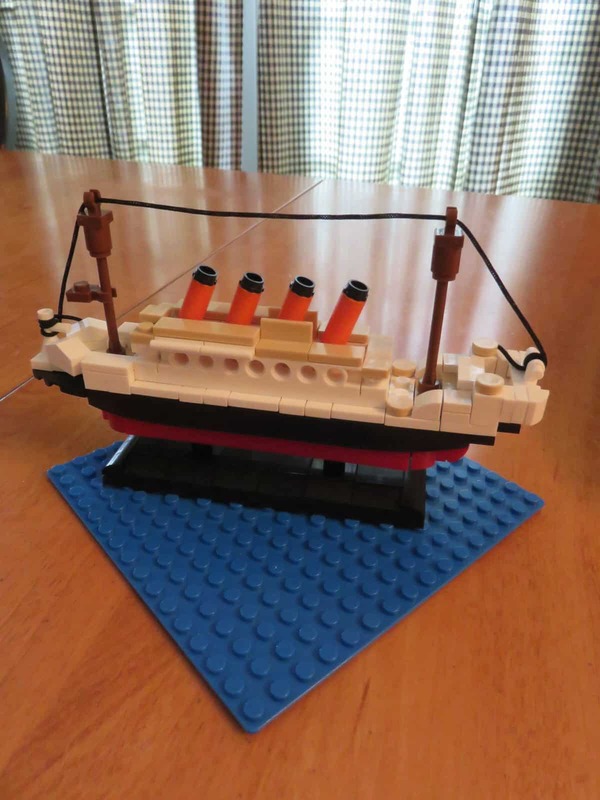 Titanic Ship build is made from Brick pieces and resembles the historic ship. It fits on its own stand so you can proudly display the build. 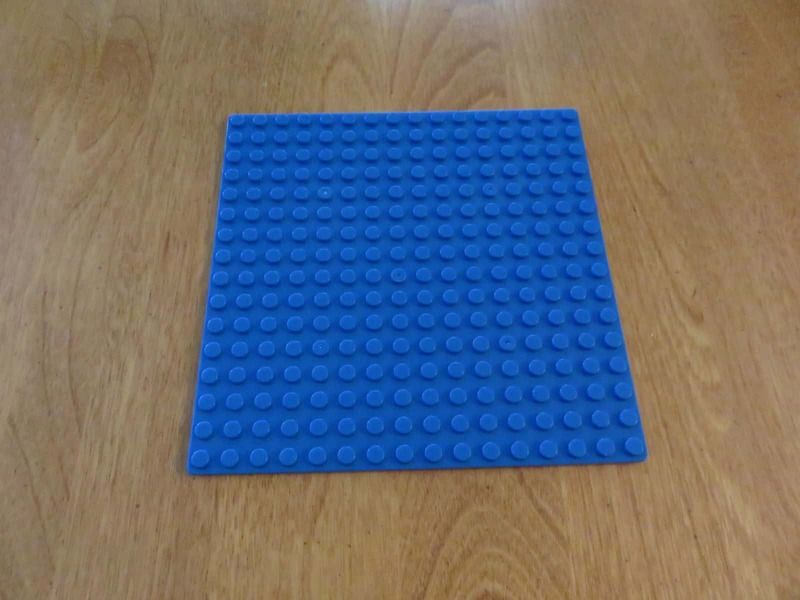 Baseplate in blue is the perfect base for the shark or Titanic ship as it will give it a water look. Light Up Brick is a great way to give your ocean display for the Titanic ship or shark build a nighttime glow. 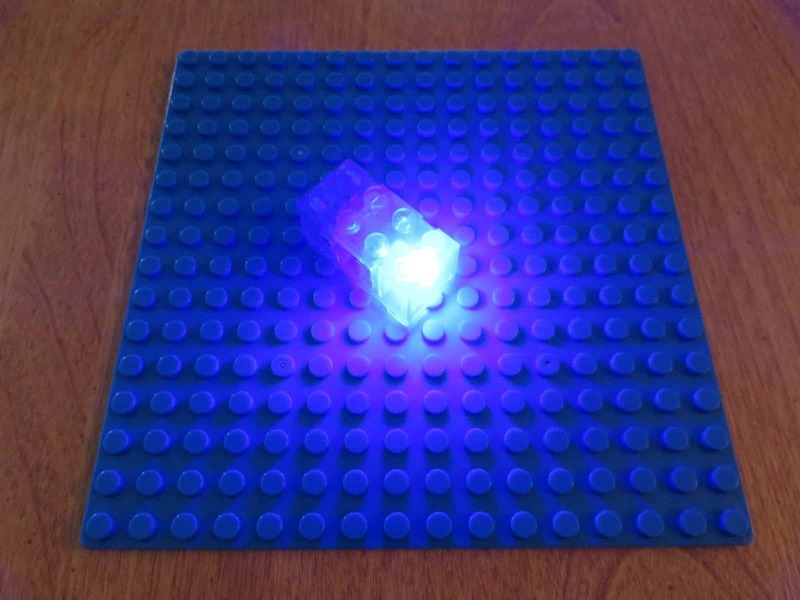 Battery is included for the light up brick. Captain I.C. 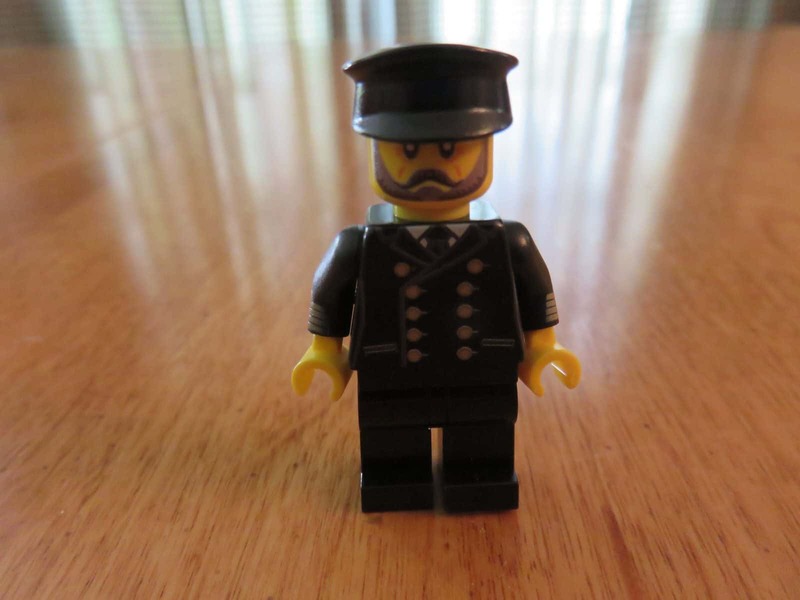 Berg is a 100% Lego Minifigure and custom printed by United Bricks. He resembles a ship captain from the era of the Titanic ship’s voyage. 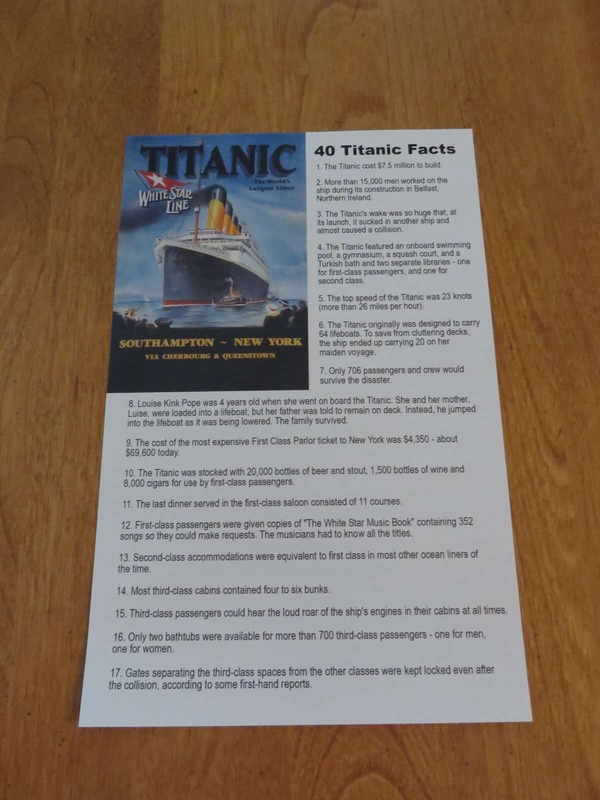 The 40 Titanic Facts sheet has 40 facts and the image is a reproduction of an advertising poster from the 1912 voyage. It’s a great pamphlet of information about the Titanic. The Titanic Voyage sticker is a Brick Loot exclusive and matches the theme for the month perfectly. Our builder loved building the ship, but the shark is his favorite. He’s been interested in sharks and the Titanic for years and has books on both, so these builds were perfect for his Brick collection.